George Whitefield was called the Grand Itinerant for his unprecedented preaching ministry. He crossed the Atlantic Ocean numerous times and lit fires of revival on two continents. 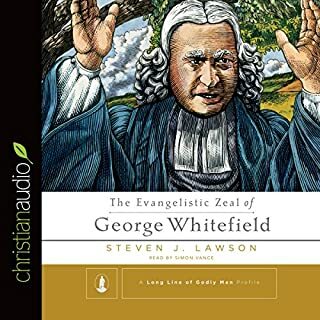 Yet as Dr. Lawson illustrates in this latest entry in the Long Line of Godly Men Profiles series, we must note that Whitefield was a man whose extraordinary evangelistic fervor was marked by remarkable piety and deep theology,and whose unswerving devotion to his God led him to risk all that he had to preach the name of Christ. 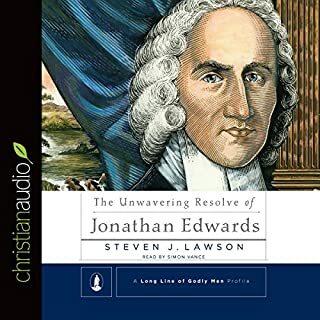 To present an example of intentional, faithful, and passionate Christian living, Dr. Steven J. Lawson paints a portrait of 18th-century pastor and theologian Jonathan Edwards, who structured his relationship with God by composing and following 70 heart-searching resolutions. Edwards, often remembered for his sermon Sinners in the Hands of an Angry God, is revealed here as a man with a heart for God's glory above all things. 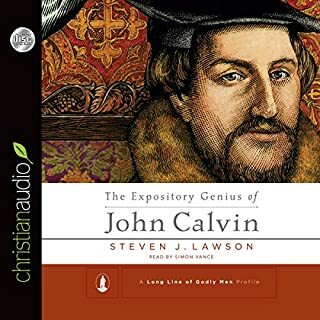 In The Expository Genius of John Calvin, Dr. Steven J. Lawson delves into the practices, commitments, and techniques that made John Calvin, the great Reformer of the 16th century, such an effective preacher during his long pastorate at Saint Pierre Cathedral in Geneva, Switzerland. Dr. Lawson identifies 32 distinctives of Calvin's preaching, providing comments from Calvin's writings, quotations from Reformation scholars, and examples from Calvin's own sermons to reinforce his points. Excellent, inspirational, convicting, and helpful. John Knox, the great Reformer of Scotland, is often remembered as something akin to a biblical prophet born out of time strong and brash, thundering in righteous might. In truth he was low in stature and of a weak constitution, a small man who was often sickly and afflicted with doubts and fears. 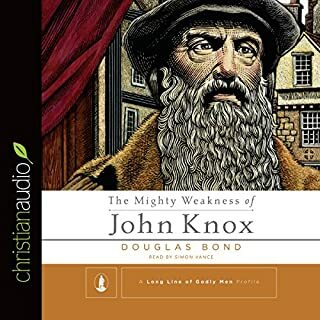 In The Mighty Weakness of John Knox, a new Long Line Profile from Reformation Trust Publishing, author Douglas Bond shows that Knox did indeed accomplish herculean tasks, but not because he was strong and resolute in himself. In The Heroic Boldness of Martin Luther from Reformation Trust Publishing, author Steven J. Lawson shows the convictions and practices that fed Luther's pulpit boldness. It all began with his deep commitment to the word of God, through which he had come to his freeing understanding of justification by faith alone. Luther was outspoken in the pulpit because he was so deeply devoted to scripture, seeing it as inspired, inerrant, clear, sufficient, and supremely authoritative. I love Spurgeon and I love Lawson's perspective in "A Long Line of Godly Men" series. 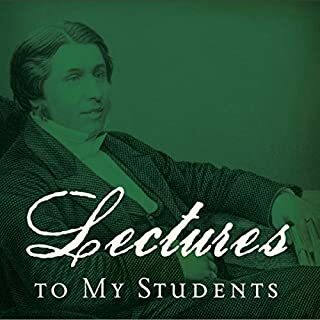 This is an encouraging and convicting look into the life of Spurgeon. I highly recommend. 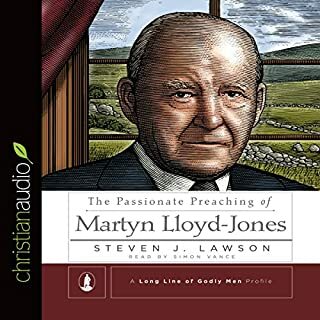 Lawson's series "A Long Line of Godly Men" is another excellent book. His research and insight into bringing alive the personalities of past, key figures of the Christian faith and inspiring believers is a wonderful blessing. I also think the narrator, Simon Vance has the perfect voice for giving a liveliness without overshadowing the info being presented. 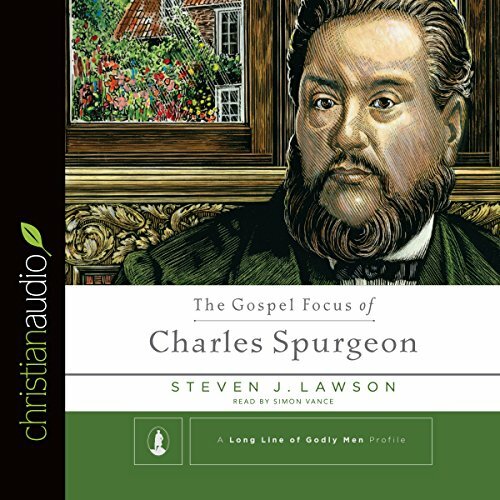 This fine work by the mighty author Steven Lawson takes you on a whirlwind bullet point overview of The greatest preacher ever, Charles H. Spurgeon who, in my view was equal to or nearly equal to Paul The Apostle. Absolutely loved this short concise look at The Prince of Preachers. love it. it really encouraged me in sharing the gospel of Christ crucified with more passion and being more dependent on the work of the Holy Spirit.